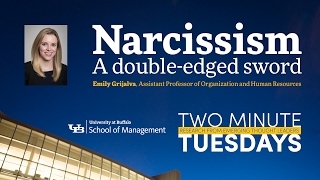 Emily Grijalva’s research on narcissism has been reported worldwide in such outlets as Time, MTV News, the Washington Post, CBS News and CNN. She is an expert on narcissism and its links to personality development and leadership emergence and effectiveness, as well as on gender and counterproductive work behavior. Emily Grijalva can be reached most quickly through Jackie Ghosen in the School of Management Communications Office at 716-645-2833 or mgt-pr@buffalo.edu. 10/26/18 Why aren't there more women leaders?